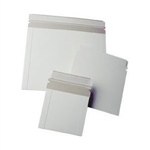 Self Seal Stay Flat Mailers come in a variety of sizes and designs. Our mailers are manufactured by industry leading companies and will meet any requirement. With over 20 and 5 design styles to choose from our stock program meets most requirements.